THICKNESS Choose an option3.5 OZ.4 OZ. We’re very happy to announce that after 3 years of research, cross-continent air travel, tannery tours, blind alleys and iterative development, we have now received our first production run of excellent 4 ounce vegetable tanned calf sides for hood making. We were getting pretty freaked out since we were basically out of quality hood leather, and completely unwilling to settle for anything less than the best for the hoods we make for falconers all over the globe. These sides are MADE IN USA from American bull calves from the dairy industry. Go ahead and try it if you want, but you can’t get milk from a bull! We are working very closely with our tannery folks, whose operation is top notch, and fully compliant with clean water regulations under the federal Clean Water Act. The fiber structure and grain of these sides is very fine. They range from 8 to 12 square feet in size, and average just under 10 square feet. Only minimal material has been removed in the splitting process to achieve our preferred 4 ounce thickness. For those of you who might not be familiar with leather terminology, in the North American leather industry, thickness is expressed in ounces. This tight adherence to smaller, true calf skins results in a really nice, firm temper to these sides, with a very fine, smooth nap on the flesh side. The grain side (the “hair side”) is tight and smooth. After tanning, the hides are trimmed of excess, unsuitable belly and leg material. They are then cut in half from nose to tail, which is called “siding” in the US, “ridging” in the UK. After siding, while still damp and pliable, each side is stretched on a perforated stainless steel panel for drying, in a process called “toggling”. After toggling, the sides are split, a process which shaves material from the flesh side to achieve the desired uniform thickness. They are then “plated” which imparts the smooth finish on the grain side. The final step in completing our sides is buffing the flesh side, which imparts a very fine, smooth nap. Careful trimming and Toggling as sides, followed by the additional steps described here, is more labor intensive but increases hood yield as the available leather stretches more predictably on the block. Hoods we’ve made up in this material sewed up beautifully. Stitching holes are consistently easy to punch, and don’t rip out. As you can see in the photos, the hoods burnish up like pool balls. Grade A sides have the fewest blemishes like small holes or skinning cuts on the flesh side. Grade B has a few skinning cuts or holes, but otherwise is the exact same material. All of the hoods in the photos are made from Grade B in this production run. Grade B Light are closer to 3-3 ½ ounce thickness. They make up into beautiful, lightweight hoods for small hawks in the merlin/Aplomado/sharpshin/Cooper’s hawk range, and Arab-style hoods with plated backs. 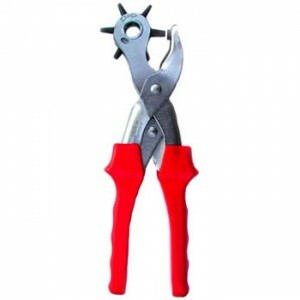 We have listed every side we have here on the website, and they’re priced by their exact size. You deserve an honest, fair deal! These sides (one half of a calf skin, finished as sides, cut from nose to tail) are sold as whole sides only, no cut pieces. We’re so confident you’ll love this leather for making your hoods that we are offering a money back guarantee. 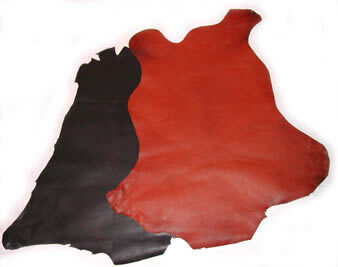 Buy a side of this calfskin. Make a hood from it. If you don’t like it, return the calf side and we’ll refund your purchase, minus $10 for the cut out hood pieces. This guarantee is limited to one trial hood per customer.